Deputy Sheriff Carlos Papillion, Jr.
Reflections for Deputy Sheriff Carlos Papillion, Jr.
My heart goes out to Deputy Papillion wife and children as the 2nd anniversary of his untimely death has passed. In the bible, Jehovah God outlines a wonderful hope for our loved ones who have fallen asleep in death. Revelation 20:12, 13 reads " I saw the dead, the great and the small, standing before the throne, and scrolls were opened. But another scroll was opened;it is the scroll of life. The dead were judged out of those things written in the scrolls according to their deeds. And the sea gave up the dead in them, and they were judged individually according to their deeds." Deputy Papillion died performing a good deed and he is in Gods memory. I pray God's words bring comfort to his family and colleagues. 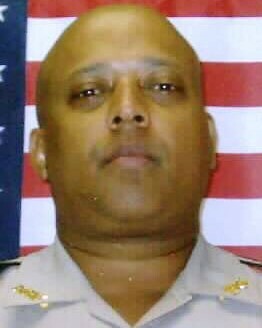 On today, the 1st anniversary of your death I would just like to say thank you for your service and sacrifice for the citizens of St. Landry Parish. And to your family and loved ones, I wish to extend my deepest sympathy.